Brooklyn led by only two after one quarter but then outscored Oklahoma City 36-22 in the second. 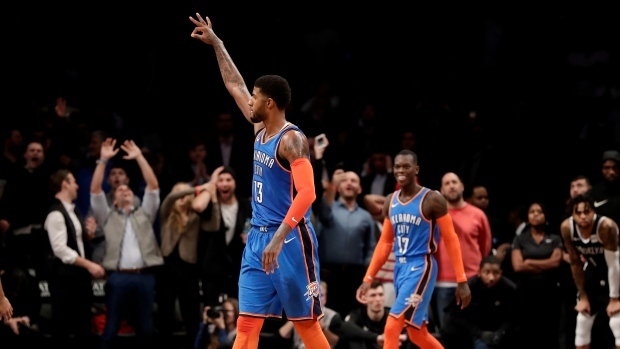 Nets reserves outscored the Thunder by themselves, totalling 23 points. The Nets ran off the first 10 points to take a 36-24 lead, then used a 9-2 surge to open a 54-35 cushion on Crabbe's 3-pointer with 3:41 remaining in the half. "To be able to pass him is something I never even dreamed about, so just honoured," Westbrook said.